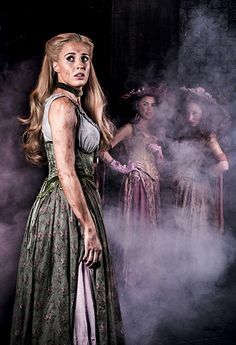 There will be major cast changes in the West End production of the 2014BBC Radio 2 Olivier Audience Award winner “LES MISÉRABLES” at the Queen’s Theatre from 16 June 2014. Celinde returns to the role of ‘Fantine’ at the Queen’s Theatre after making her West End debut in the part in 2013, as of june 16 2014. Celinde Schoenmaker on West End! Celinde Schoenmaker has been cast as Fantine in Les Misérables at Queen's Theatre WEST END(!) from January. The English site www.celindeschoenamker.com is online!